Start the year off in nature! 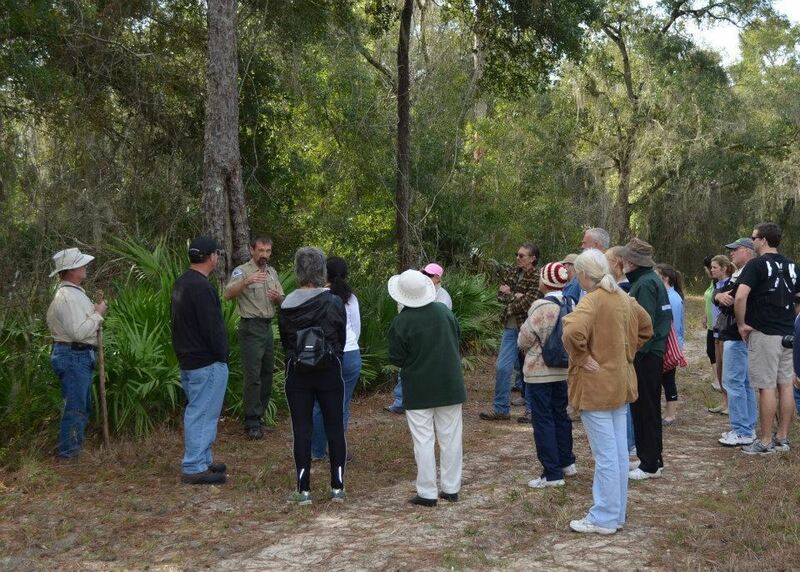 Take a hike with a Ranger in beautiful Dunns Creek State Park! The park is located south of a sharp bend in the St. Johns River, and boasts more than 6,200 acres of natural communities! Registration is required. To RSVP, please click the 'Register' button on our page or call the park office at 386-329-3721. Participants will meet at the front entrance of the park, which is under construction. Then, visitors will travel to the trailhead for a 1.5 mile hike. Sturdy shoes and long pants, sunscreen, insect repellent and water are recommended. Directions: The park entrance is located at 320 Sisco Road off Highway 17 near Pomona Park in Putnam County.